This is inspiring. 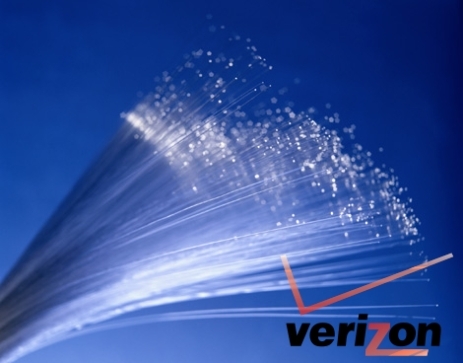 Verizon has reported that it has completed a real-world field test of its fiber optic FiOS service where it was able to push nearly one gigabit of data per second. Thats a lot, thats similar to downloading a Blu-Ray movie in less than 20 seconds – a DVD in 4 seconds! The test was carried out at a customers’ business premisis. This is major news because never before such speeds were reached in a real-world test. The main reason was although the line can provide speeds of up to 2.4Gbps there was not enough customer equipment to support such high speeds. For the test Verizon ran a second fiber from its local office to the business user who already was using FiOS. This new link was then speed tested to a local server and also over the internet. Verizon released its results that showed that the link topped at 925Mbps to the local server and about 800 Mbps to the remote server. Will Verizon beat Google to providing 1Gbps internet connectivity? Its a matter of price is what analysts say. Google might be willing to offer 1Gbps connections to homes at a lower cost, more affordable while FiOS is still expensive and considering a 1Gbps line might not be affordable. As more players enter the market the prices are sure to go down.